We've spent some time looking at some of the focus issues raised in this thread. We gone back through our PVT units, pulled units from both partners, and from two downstream distributors. The upshot is that across a sample of many tens of units we've not found anything that we wouldn't be comfortable shipping. Unlike the v1 camera these modules are not focused at infinity, so distant objects are not as sharply resolved, but this was a conscious tradeoff in light of discussions with Sony. We may consider moving back to an infinity focus in the future based on the comments in this thread, but this is a tradeoff made in many cellphone type fixed focus modules and we think it serves typical users well. As a half way house, we may also consider changing from glue to a viscous compound to allow users to manually refocus. The slightly disappointing news is that while each unit we tested is acceptable in isolation, there is a significant degree of variability in the focus setting from module to module. This isn't desirable for people who want to integrate the camera into products, and is also a hint that module production is not under what we would consider to be proper, modern, process control. We're addressing this with the module manufacturer now. If anyone in this thread feels they have a particularly "extreme" module, please PM me and we'll take a look. We're particularly interested in modules which exhibit significant, repeatable variation in focus across the frame when tested without a mount (pressure from ill-fitting mounts can cause the module to defocus). eupton wrote: Unlike the v1 camera these modules are not focused at infinity, so distant objects are not as sharply resolved, but this was a conscious tradeoff in light of discussions with Sony. We may consider moving back to an infinity focus in the future based on the comments in this thread, but this is a tradeoff made in many cellphone type fixed focus modules and we think it serves typical users well. As a half way house, we may also consider changing from glue to a viscous compound to allow users to manually refocus. Thank you for looking into it. I had assumed the focus setting was the same as v.1 ("drop-in replacement") and my applications are all security-camera type where I do want focus beyond 3 meters. I'd assumed that was one of the major uses of the camera. If you are taking votes, I'd like to vote enthusiastically for the "viscous compound" option, to permit refocus and maybe even allow use of 3rd party M6 (?) lenses. I see megapixellenses.com has a catalog including M6 mount lenses, but does not claim any resolutions greater than 5 MP. Last edited by jbeale on Tue May 10, 2016 4:18 pm, edited 1 time in total. +1 from me. Viscous compund would be great! Anyhow, good news to hear it is most likely "just" the focus - I'll try a little bit around with re-focusing my module (on my own risk...) next days... Just out of curiosity: What exactly is the intended object distance the modules are focused at? +1 from me, too. I have been waiting to see how this ends before byuing. Possibility to refocus would be great. Thanks for the input Eben. Viscous is fine, low temp hot melt? Len twister and module holder, 3rd party market? If a lens twister was injection molded = $0.05, just forget the glue and focusing. Let everyone have some fun DIY learning to focus. Can't DIY? take your Pi camera to the nearest Pi Jam for focusing on XYZ's focus system? 4 more M6 lens options, Macro, V1 lens, 120 degree lens, 2.5x telephoto 9-10mm? Wish list - 8Mp monochrome version, ie no cfa, no IR. I think we all got spoiled and lucky with the V1. This is just another learning step for us all. Oh dear, I need to rant! On reading the response from Eban I have now returned 4 V2 cameras inc 2 NOIR because they don't focus very well at all. At well over £20 each for a drop in replacement that claims to be better, but which in most aspects is worse, I feel cheated. I will canabalise the two I have kept and see if they are usable at and close to infinity. Mettauk wrote: Oh dear, I need to rant! £20 for a 8MP camera module. Still cheap. But fair enough if you have returned them. They are supposed to be better, but as Eben said, this issue has only just shown up - nothing came up in development AFAIK. Production issue from what he said above, hopefully fixed soon. No more rants from anyone on this please. Please keep thread clear for new Q&A. 6by9 wrote: @Koepi: [...] Please try adding "start_debug=1" to config.txt, and "sudo vcdbg log asserts" when it dies. This is strange. Since I added that line raspistill works without any problems. I even built a Wifi switch based upon a ESP8266 so I can power cycle the USB supply of the Pi remotely even from work. Now that I'm all set for catching the bug it doesn't occur. Are there any drawbacks from keeping the Pi running in debug mode? Performance seems fine, so if this solves my issue I would just keep it that way. The image I posted was taken at a distance of 5 ft and the focus is not good. Do you consider 5 ft to be "distant"? If so, what distance should have the best focus? Koepi wrote: This is strange. Since I added that line raspistill works without any problems. Memory says that GLES throws a load of asserts and it drops the performance there due to the extra logging, but the normal camera and codecs stuff should be pretty clean and have minimal overhead by running with assert logging enabled. Could I ask that this discussion is shifted off to a new thread (reference the posts here in the first post)? I don't see this being directly related to the new camera and it's getting a bit lengthy in OT discussion. I've managed to remove the standard lens and add an M12 mount, just from this and adding a 1/3 lens (all I had at the time) focus seems much clearer, both close and distant. Mettauk wrote: I've managed to remove the standard lens and add an M12 mount, just from this and adding a 1/3 lens (all I had at the time) focus seems much clearer, both close and distant. I've noticed that the camera module sits at quite an angle on the PCB, the v1 was flatter, meaning it might need fixing flatter to use a M12 mount, anyone else notice this? I believe the old v1 camera module was affixed with some soft adhesive to the PCB and some of my v1 modules were at a noticeable angle to the board. There may have been process changes so later production was more flat. Not sure if that was well specified, given that the lens is part of the module. The exact angle mattered mostly if you modified for external lens. The right way to modify for M12 lens mount probably is first unplug flex and remove module, scrape off adhesive residue on surfaces, reattach flex and place module with epoxy while it is held flat in some fixture with laser-pointer retroreflector setup to accurately align sensor normal to PCB surface normal. Bit of a project, but if you don't you may never achieve a flat plane of focus across the field. Can recommend this procedure (at your own risk!)! Wow, you deserve some sort of award! Sounds simple and elegant. I want to see the pictures . When I used 2 pairs of pliers (1 on housing, 1 on lens) it was very difficult. I guess the force distorted the plastic out of round, so harder to turn. From this I assumed any simple plastic or 3D printed tool would not be strong enough to work. Happy to be proved wrong! OK, here are some pictures - better, especially some pointing at infinity, will follow, these are just quick'n'dirty, even the focussing can possibly be improved. The difference in sharpness is not dramatic, but taking the larger FOV and resolution into account, this is what I would have expected. Colors and dynamic range are better with the new camera. I'm now really happy with the new camera module! Last edited by caerandir on Tue May 10, 2016 9:40 pm, edited 1 time in total. 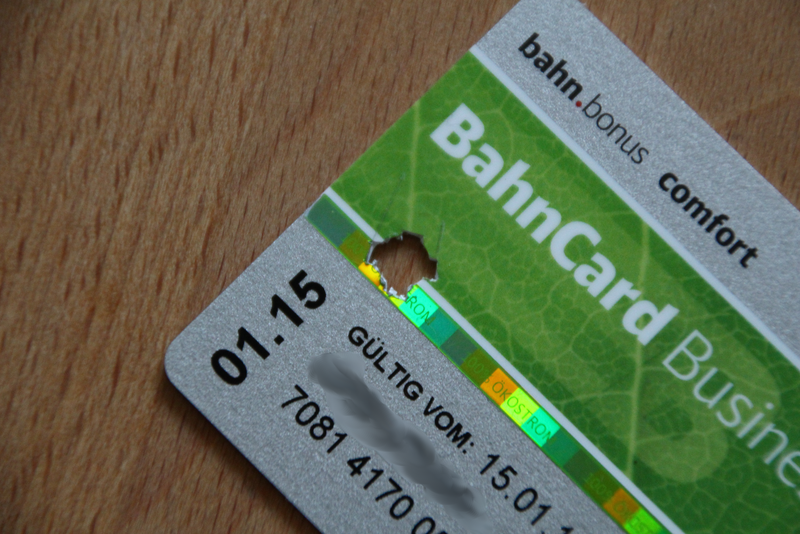 I can confirm that loosening the lense works with such a "modified" debit card (that's what I used). First I thought it didn't work, but then I saw the completely unsharp picture the cam produced. Now the lens can be moved with pliers without (further) damaging it. Will try to improve focus as soon as my script switches to night mode. As it's too dark already, I can only focus with contours of tree branches, and that looks better to me already. Will report back how this works out! Thanks for the idea, caerandir! Edit: Hard to tell from a night shot - left old factory setting of the lens, right new focus test version. Looking at the borders of the trees to the sky there is more detail visible. The leftmost post of the green fence is sharper now, too. But a proper test in daylight is necessary. Will look at that tomorrow after work for sure! After so many positive results from refocusing, I decided to try it myself on my V2 camera module. Huge improvement. Nice work caerandir, that looks great! Thanks also to Koepi and bp2008. For reference here is a crop from bp2008's before-and-after photos. That sure makes a difference. I measure the four holes in the v1.3 PCB at 2.15 mm in diameter, and on v2.1 they are 2.20 mm. Curious if that was an intentional change? It probably doesn't matter, unless you have a case with close-fit posts matching the holes. They are on 12.5 x 21.0 mm centers on both boards. OMG, what a difference now with (a little) daylight; will for sure improve when there's even more light during the day. Take a look at the lawn. There's actually a structure in it now. If you look close, you can even spot a bird there. The sign post is nearly readable! Also you can now see that on the other sign on the left there is a pice of paper in it with conturs. Even the door on the chapel is sharp; the left front wheel on the car of my wife can be identified as such. It seems the pressure I put on the lens by loosening it also helped correcting the plane in which the lens sits. Before, the complete left third of the image was totally unsharp. I don't see such a shift in the optical axe anymore, but need to see results with more / better light before being sure there. Well done caerandir, it works. 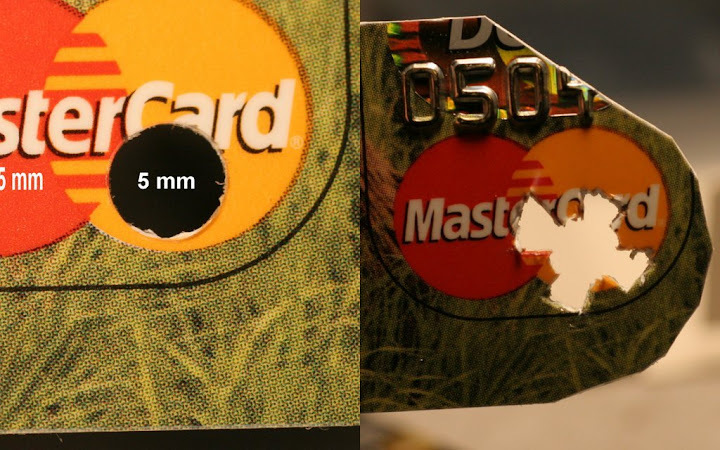 Especially if you use a second card with a 8mm square notch in the end to hold the body still. I went looking for my bag of polymorph last night, could not find it, been saving it for something like this. Pimoroni guys online? Laser cut some camera lens spanners please? How many V2's made so far? 150,000 spanners? Will need to test mine at home now and get some NOIR versions too. I think we can say now, for outdoor security type use, refocus is needed. Hmm three notch hole to extract the V1 lens? Lens alignment issue might be due to glue surface tension pulling lens off at an angle? Breaking the glue bond allows the lens to sit squarer on the threads. 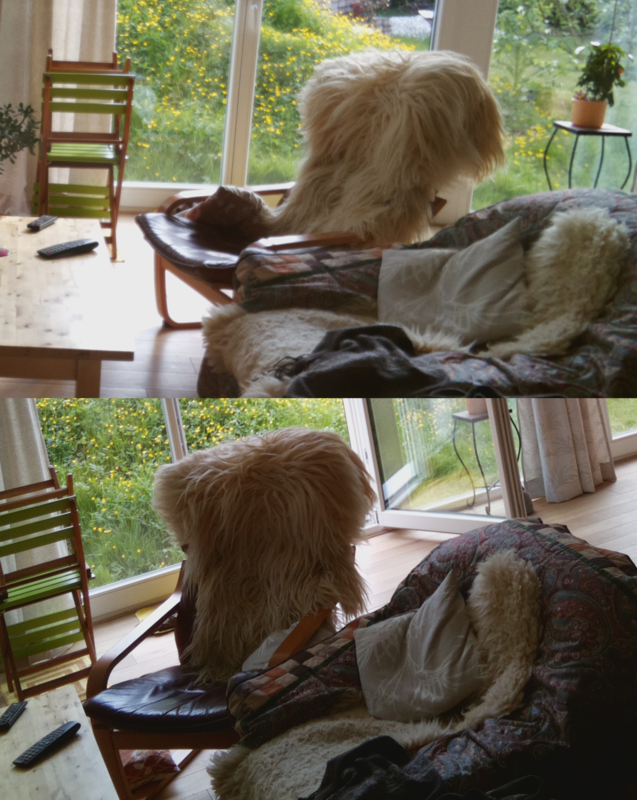 Ages ago, I found this happened even on M12 lenses, especially on short focus ones. caerandir's lens tool works as advertised. A quiet "click" as the glue breaks free with almost no effort, and now the lens can be rotated by fingernails. I used the other half of the card with a square notch to hold the body of the camera module against rotating, maybe not necessary though. I still am having trouble finding the best focus position for my Pi NoIR v2.1. In one setting, the center is sharp and the corners are not; then 10 degrees away the corners are sharp and the center is fuzzy, this is with everything in the frame about 2.5 meters away. Hmm. I notice that simply pressing down on the lens cell shifts the focus quite a bit. If this is a M6 x 0.35 mm thread, a 10 degree rotation is only 10 microns of travel, so this is clearly a high-precision game. I think it is now slightly better than it was before, need to wait for daylight to check. 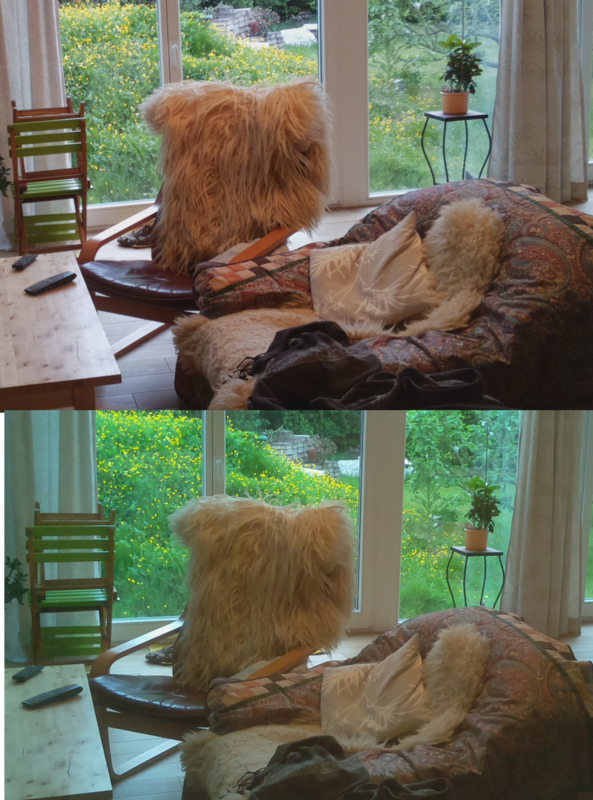 EDIT 2x: by adjusting lens, I can make center focus better at 2.5 m, but at that lens position, best focus at edge of frame is at 15 cm. Last edited by jbeale on Wed May 11, 2016 6:10 am, edited 2 times in total. Going to make a 3 notch hole and swap a V1 Noir lens onto a V2. Get a narrower angle Noir V2, and test it against a V1 for night time use. Don't bother with the polymorph as a spanner, just tried it, too fiddly. Might work if I get an old nylon gear wheel, drill it out and replace hub with a bit of polymorph. Polymorph does work fine to hold the module still.